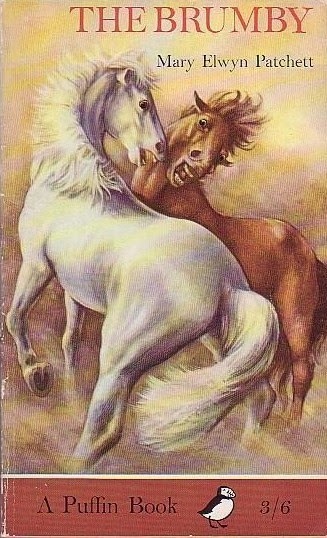 Mary Elwyn Patchett's Summer on Wild Horse Island featured in an earlier PBOTD, another victim of dodgy cover art. Here's the original, printed by Lutterworth in 1961, which whilst it's not a vision of beauty conjure up something of the spirit of the book, And I like the rainbow effect with the colour banding. 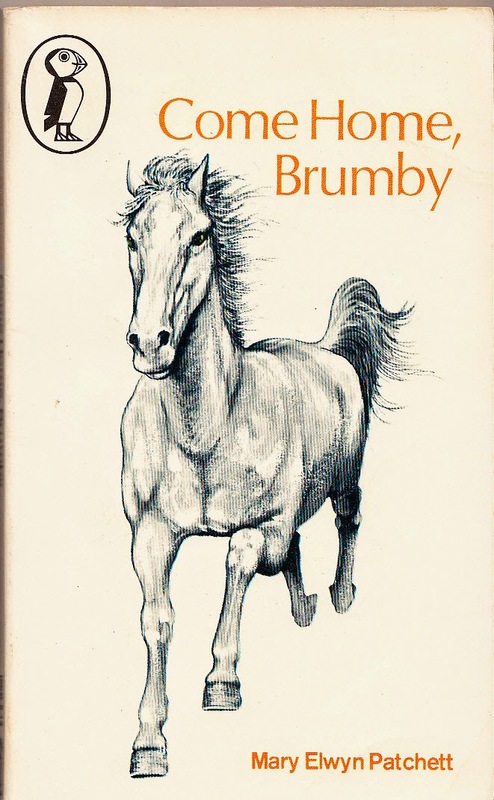 Puffin, who usually did lovely covers, including a cracker for the predecessor to this book, The Brumby, rather fell at the first fence with this 1972 reprint. Just as a contrast, here's Puffin's beautiful version of The Brumby. I have that Puffin edition of The Brumby. Will have to re-read it sometime. I remember not liking it that much when I first got it as a child.